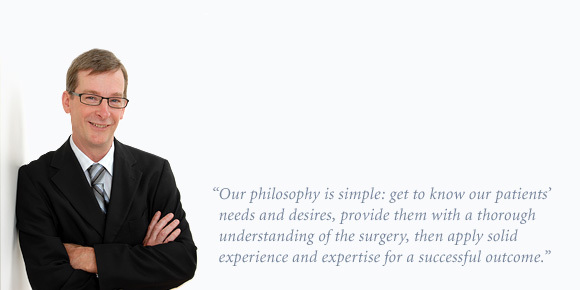 Dr. Douglas Kibblewhite is British Columbia's leading plastic and reconstructive surgeon specializing in nose surgery. associate professor, Dr. Kibblewhite has built one of the largest rhinoplasty practices in Western Canada over the past two decades. Dr. Kibblewhite is a board-certified Vancouver rhinoplasy surgeon specializing in nose job surgery. More patients seek out Dr. Kibblewhite for nose surgery than any other cosmetic facial surgeon in the region for three reasons: experience, expertise and trust. Dr. Kibblewhite and his dedicated staff recognize that the decision to undergo facial comestic surgery is a highly personal one, often fraught with apprehension and anxiety. If you’re considering having rhinoplasty surgery (nose surgery) or any other cosmetic facial surgical procedure, the most important thing you can do for yourself is be well informed. Dr. Kibblewhite can help – contact his office today to schedule a private consultation.